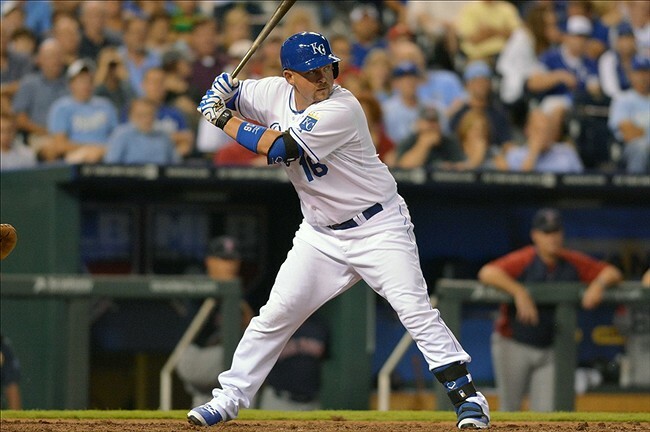 Royals ready to talk about Billy Butler deal for teams that would take on DH owed $8 million in '14, $12m in 2015. The Texas Rangers are certainly in need of a DH like Butler. Lance Berkman was the DH for the Texas Rangers in 2013 & slashed .242/.340/.359 with just 6 homers & 34 RBI in 294 plate appearances. Executing a deal with Kansas City to acquire Butler would be a huge upgrade at the DH position for the Rangers. If they are serious about going deep into the playoffs, they need a more consistent DH, and Billy Butler is the potential solution for that lack of consistency. If Butler can get back to his 2012 form (.313/.373/.510 with 29 HR & 107 RBI), he will be a key cog in the middle of the Rangers lineup. Tampa Bay's 2013 DH was Luke Scott, and he gave the Rays limited production last season. In just 91 games in this past season, Scott slashed .241/.326/.415 with 9 homers & 40 RBI. Being 35-years-old doesn't help Scott's case either, as back spasms sidelined him down the stretch in 2013. The Rays will certainly be looking for someone to split time at DH with him, or replace him at DH altogether. Butler can be that guy. Like I said before, Butler still has another All-Star caliber season in him. He can still be the Billy Butler we saw in 2012 - the one who won a Silver Slugger Award & got selected to the All-Star game. On a team that lacked a productive hitter out of the 3-spot in 2013, Butler would be a great addition to the Rays. His .303/.396/.454 slash line along with his 7 homers & 33 RBI when batting 3rd in 2013 will be a huge upgrade from Ben Zobrist's 3-hole slash line in the of .239/.318/.349. Zobrist may have drove in 6 more RBI out of the 3-hole than Butler did in 2013, but Butler's consistency is far more dependable than Zobrist's. On the other hand, Butler is an $8 million DH, so a deal sending Butler to the Rays all depends on their willingness to take on a contract as big as Butler's. All in all, Butler being added to Tampa Bay would certainly make the Rays' lineup one of the most dangerous in the American League. Given the fact that Butler is due to make $8 million next season really limits where he can go. Oakland would be a great fit for him, but I doubt they'd be willing to give up anything to acquire an $8 million DH. Baltimore would be a consideration for Butler as well, but with solid production up & down the lineup you'd be hard pressed to find a way to fit him in with the Orioles. Truth is, not many teams are willing to give up young prospects to acquire his huge contract. Ultimately, I think Butler willing be playing in a Kansas City Royals uniform next season. Not a bad article, but I definitely think you are overvaluing his contract. $8 million in baseball is, in no way, a huge contract That is pretty much standard for a guy of his production, and in all honesty, he could probably make around $11-$13 million/year because that is what the market demands. I agree, but the fact that he's a DH makes it hard for teams to go after him. Most teams aren't willing to give up young prospects for a +$20 million DH over 2 years. I think the Yankees are a realistic candidate as well. I don't see that happening. Alfonso Soriano is the man at DH. No need to go after Butler. With David Ortiz aging, Red Sox could be in the mix, as well. That makes no sense because Ortiz will still be productive when Butler's contract expires. No need to take on Butler's contract when you have solid production out of Big Papi.